Here’s a classic 50-50 Syrah and Grenache blend from Vinsobres which is located in the northern part of France’s Southern Rhône Valley. Vinsobres became its own AC in 2006; before that it was part of the Côtes du Rhône Villages. Wines from Vinsobres must be at least 50% Syrah and the remainder at least 25% Grenache or Mourvèdre . On the eyes, the wine is a deep ruby with delicious aromas of ripe purple plum, even prune, cassis and licorice fern. The palate is dry with medium acidity and soft tannins. Flavours show dried cherry with raspberry, soft leather and nutmeg alongside Dutch licorice and lightly dried leaves. The nose and finish are muted but this is a solid WSET Good plus wine and good value for money. 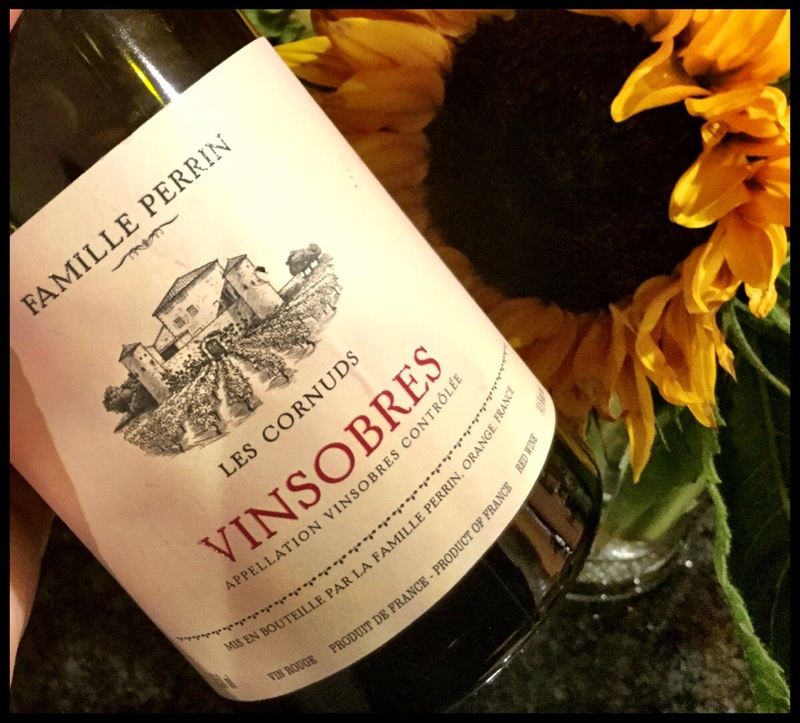 This entry was posted in France, Grenache / Garnacha, RED, Shiraz / Syrah and tagged 2011, Famille Perrin, france, grenache, Les Cornuds, red wine, syrah, Vinsobres AC. Bookmark the permalink. Is this wine available at this price in Victoria? I love this wine. I get it from Kermit Lynch. All the Perrin wines are outstanding. I agree! Great value for money on this entry level version :D. Thanks for the comment!